It’s amazing how many ways people have found to kill their trees or, in the least, put them under a great deal of undue stress. Trees don’t ask a lot from us. They need soil, water and sunshine. They are rather self-sufficient. If you are determined to kill your trees here are six things you can do now. Trees should never be planted below grade. The bark, which is not meant to be in the soil will rot leading to stress, disease and death. If anything, trees should be planted a bit above grade to accommodate for any settling of the soil. 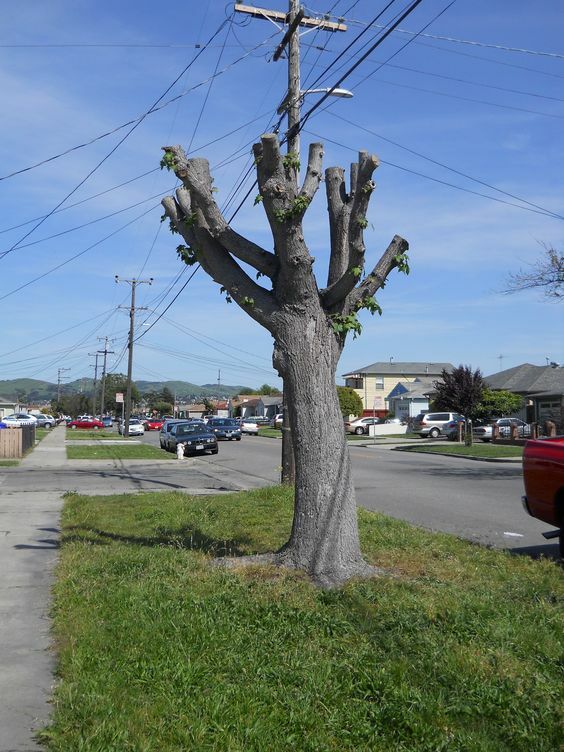 Why do we still do this to our trees? Piling mulch up against the trunk is like planting it below grade. The mulch keeps the bark moist, which makes it susceptible to pests and disease. The mounded mulch also encourages roots to grow up rather than deep into the soil. As a result, roots are prone to drying out and surface damage. Clean, careful cuts are imperative to good tree health. Limbs and branches that are ripped, frayed or cut leaving a remnant branch extending from the truck or larger branch invite pests and diseases. Entire books have been written about pruning and trimming trees- it’s that important. Mowers, string trimmers, garden equipment, car doors: anything that cuts, gouges or damages the bark of the tree poses a significant risk to the tree’s health. Unfortunately, it is not uncommon to see old, faded nursery tags on shrubs. The tag’s twine, plastic or string has often worked its way into the branch causing limb death. This confounds us every time we see it. Why would anyone think it’s solid arboricultural practice to top a tree? It’s not attractive. The shoots that grow in response to the intense damage inflicted on the tree are unsightly and the tree is placed under incredible stress.